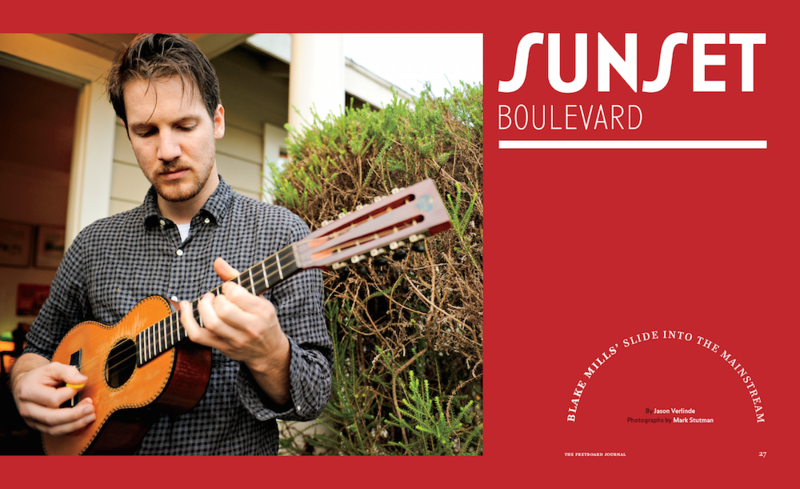 Players in the know have been following Blake Mills for years; this session guitarist / singer-songwriter / producers is one of the most original musicians performing today. 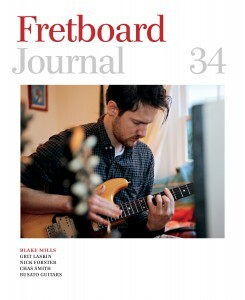 FJ publisher Jason Verlinde chronicles Mills’ trajectory and hears how some guitar lessons from the late Bob Brozman helped shape his musical journey. Photographer (and Folkway Music owner) Mark Stutman takes pictures of Mills and his unique quiver of guitars, tiples and amps. 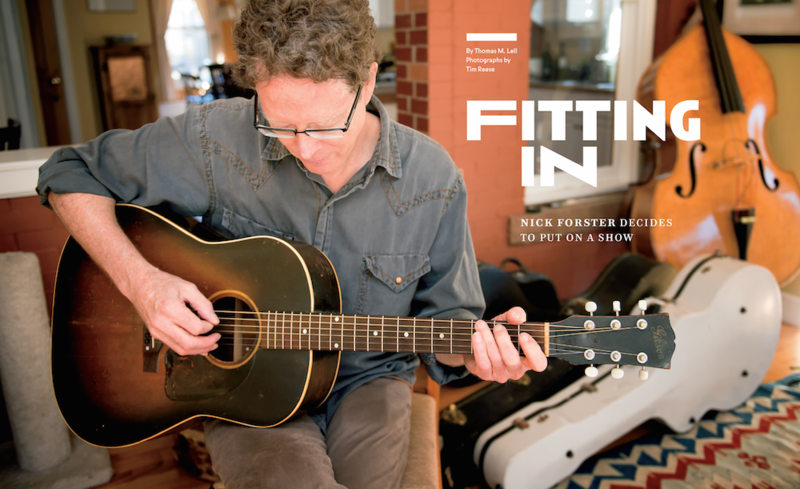 Nick Forster is a fretted instrument renaissance man. 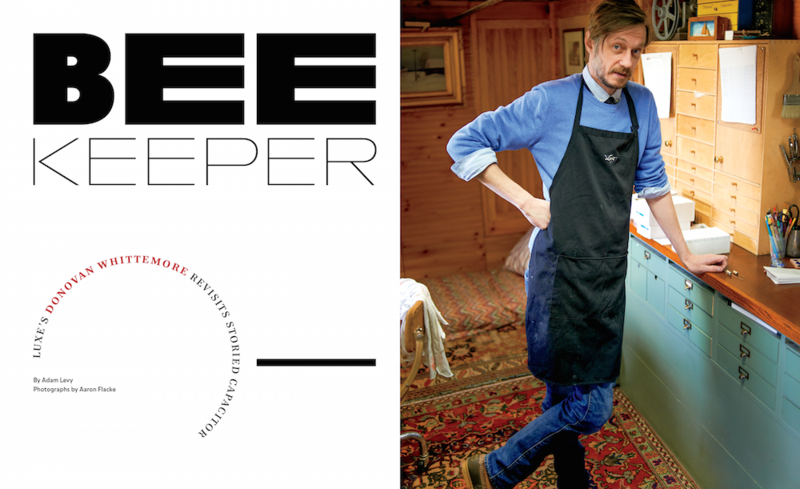 Among his talents: He honed his lutherie chops working the repair bench at the Denver Folklore Center; he’s played bass with Bluegrass supergroup Hot Rize since 1978; and he’s the co-founder of eTown Hall, the Boulder, Colorado music institution and venue. Author Thomas M. Lell interviews Forster about his many facets and gets a peek at his vast vintage instrument collection.